Rose Day, now in its 21st year, is the annual day in which people from across Oklahoma bring roses to their elected officials as a symbol of their support for pro-life legislation. On Feb. 8, an estimated 2,000 men, women and children, bundled up from the cold and with roses in hand, came from all parts of the state to pack the Oklahoma State Capitol. The Rose Day Committee, which is a collection of volunteers from various faith organizations and is led by the Baptist General Convention of Oklahoma, plans the event, which centers around a time to give roses to lawmakers and then hold a rally. The rally, which took place in the Oklahoma State House Chamber, was also simulcast with audio coverage into the Senate Chamber. With standing room only in each chamber, participants heard numerous pro-life leaders speak. The Rose Day Committee is under the supervision of the BGCO’s Heidi Wilburn, who leads the Ethics and Religious Liberty Committee for Oklahoma Baptists. To a round of applause and cheers, Wilburn informed Rose Day participants that SB 1433 already passed through the Senate Health and Human Services Committee. “We talk about the state’s image and how we are portrayed instead of how life is created in God’s image,” said state Sen. Steve Russell, a member of the committee who approved the bill. Offering the invocation was Archbishop Paul S. Coakley, of the Roman Catholic Diocese of Oklahoma. Coakley recently made headlines for decrying the new mandate from the Federal Department of Health and Human Services that effectively requires religious-affiliated organizations pay for objectionable services, including abortion-causing medication. A statement from BGCO Executive Director-Treasurer Anthony Jordan was read aloud. 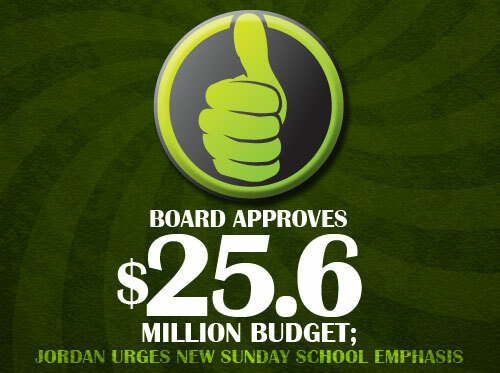 “I speak on behalf of the board of directors of the Baptist General Convention of Oklahoma—which represents more than 1,800 Baptist churches and 750,000 people throughout the state—when I say Oklahoma Baptists are as committed as ever to life and the defense of religious liberty,” said Jordan. “I want to thank Archbishop Coakley and our Catholic friends for taking a bold stance to protect religious liberty in this debate on the Health and Human Services mandate. Representatives and state senators from the Republican and Democratic caucuses were in attendance. Lt. Gov. Todd Lamb, a member of Oklahoma City, Quail Springs, also spoke. Lamb encouraged the faithful in attendance to keep praying for an end to abortion. The Governor of Oklahoma, Mary Fallin, delivered remarks, as well. “I am delighted that members of both political parties are here,” added Fallin. The featured address was given by Abby Johnson, who worked for a Planned Parenthood center in Texas. Johnson’s life changed in September 2009 when she saw something that changed her stance on abortion for good. Johnson was asked to assist in an ultrasound-guided abortion procedure. On the ultrasound screen, she saw a 13-week baby in the womb fight for its life. “Nobody stood up for him. This happens 4,000 times a day in America,” said Johnson. The baby’s life was taken, but the tragedy led Johnson to resign the next month. She has since become a leading pro-life advocate. Johnson cited alarming statistics about the high rate of abortion and listed of nationally known figures who support so-called abortion rights.